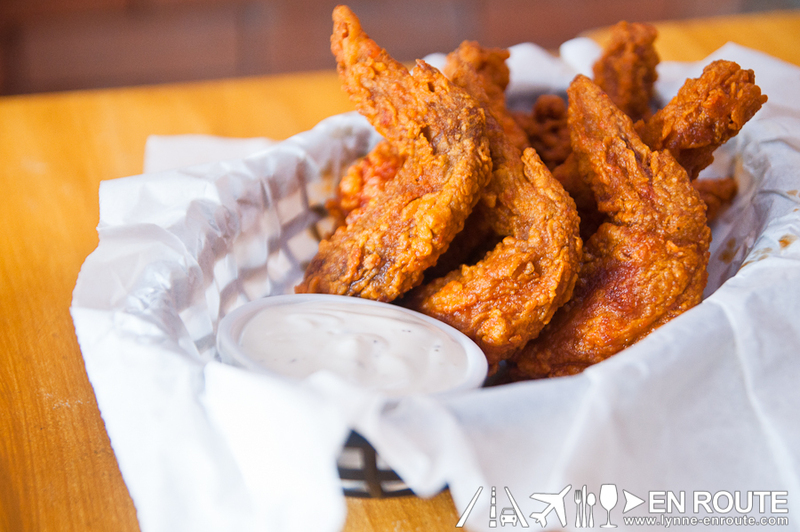 This may sound like a biased opinion, given the fascination of ours for buffalo wings (we even made various recipes for it), but it really is high time that this makes a comeback. Enough with the milk tea and the ramens of the past two years (something that seemed really peculiar given how hot and humid the Philippines is). While yes they are still a staple, the Manila food scene needs something new. If not new, something refreshing. Back in 2011, there was a sudden storm for chicken flavored in various sauces, seen in pilot sites of Mercato Centrale and Korean chicken franchises, then it faded into obscurity, as probably the simplicity of creating the dish fell out of favor to the ever changing and discerning Filipino palate. Yet it is in complexity that we need simplicity more than ever to provide the balance. The kind where when we want something no-fail with the vibe of a high energy pub, we can always count on a plcae or two for a chicken with delectable crisp and unmistakable tasty flavor. Yep. 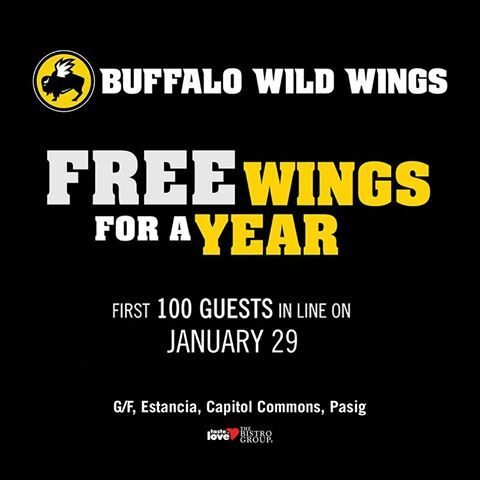 Someone is offering free wings for the first 100 guests of Buffalo Wild Wings of America. So it does look like someone got the drift. A quick Google search showed that Buffalo Wild Wings is a popular wing joint in the Americas, complete with giant screens for sports and, possibly, parlor games. Combining the penchant for foreign brands with an effort to resurrect the bar chow that unites a nation during sports events? Sounds like a good start for 2015!